Maracana is one of the higher-end products Cafes Salzillo, originally from Brazil which takes its name Maracana, emblematic bird. It was to create a new identity that would be the point of sale through a singular utensils. 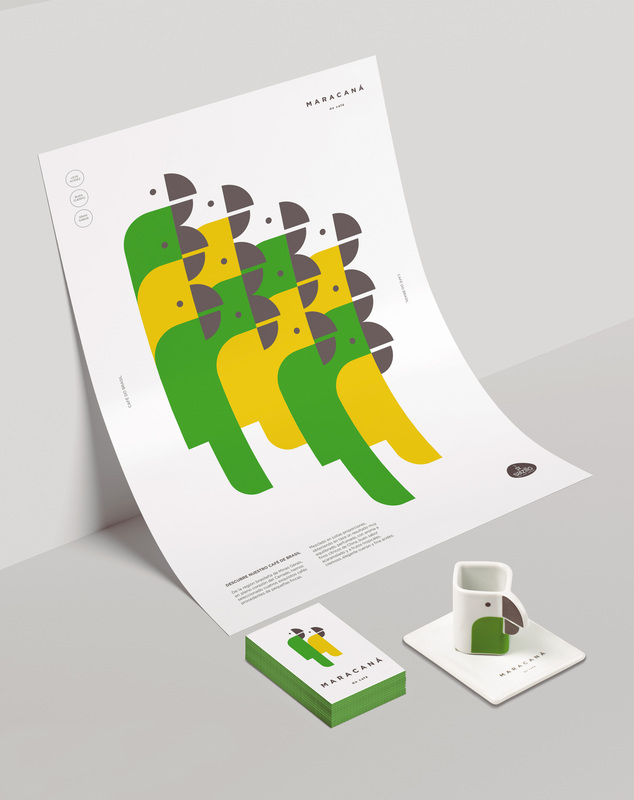 Under a friendly and elegant tone we have proposed a graph is presented through logo and dishes whose central idea is the parrot and the colors of Brazil. The graphic elements of the symbol is matched to the cups using this support as a protagonist. Maracana is an example of how to turn the brand product 's shape, becoming physical object. Crockery, 3 pieces, made in Bemorporce (Portugal) by adjusting the initial proposal of the study in customer knowhow about coffee and catering aspects of industrial development of porcelain made by Bemorporce process.